Welcome to the newly-created Liberate Us home page. To liberate parents from their fears about raising a child who is blind by connecting them to blind adult mentors as soon as possible in the first three years of a childâ€™s life. 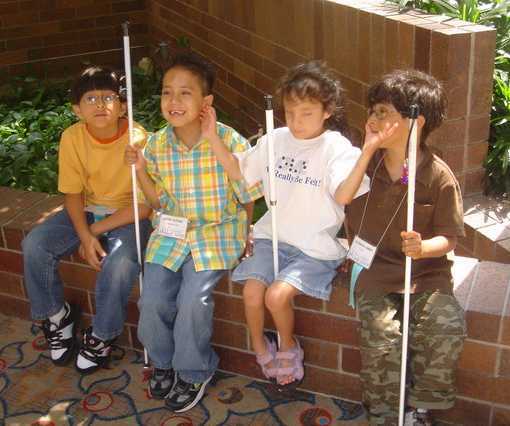 To liberate blind children from external obstacles to maximizing their independence, with a specific focus on getting adaptive technology in the home to lay an early foundation for literacy. To liberate the general public from ignorance about blindness through continuous exposure to positive imagery of people who are blind going about their lives. To learn how you can contribute your home video to the Liberate Us Video Library and participate in the public relations campaign, please read the article.